Rion and Alexander go Live on Facebook each week to share Galactic Intel, answer questions and give a 3D/5D Tarot Card Energy Forecast. 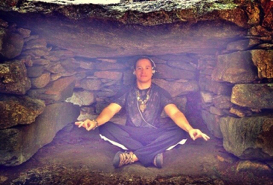 Learning to communicate with your Spiritual Team is the most important connection you can make. We all have the ability to pull down information from the higher realms that can benefit the progression of our Planet. The more you quiet your mind, the more you can receive. With so much information coming in from the Galactic Counsel, Angels and Spirit Guides, we do our best to keep the content here fresh and up to date! “Sedona Free TV” is an International Broadcast Station with over 10 Million ROKU Subscribers. 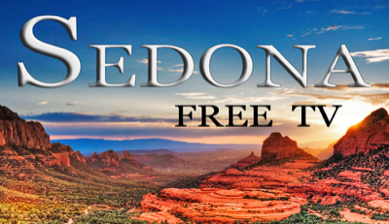 “Sedona Free TV” proudly features Documentaries, Festivals, Red Rock Landscapes, Music Videos, Sedona Tours, Galleries, Dining, Healing & Wellness, Accommodations, Sacred Sites, History of the Native Land, and much more! Discover the Magic of Sedona and our community! With Giselle Koy and Rion De'Rouen as your Hostesses with the Mostesses, The Daily Vibe, delivers Conscious Content in a fun and playful talk show style format!